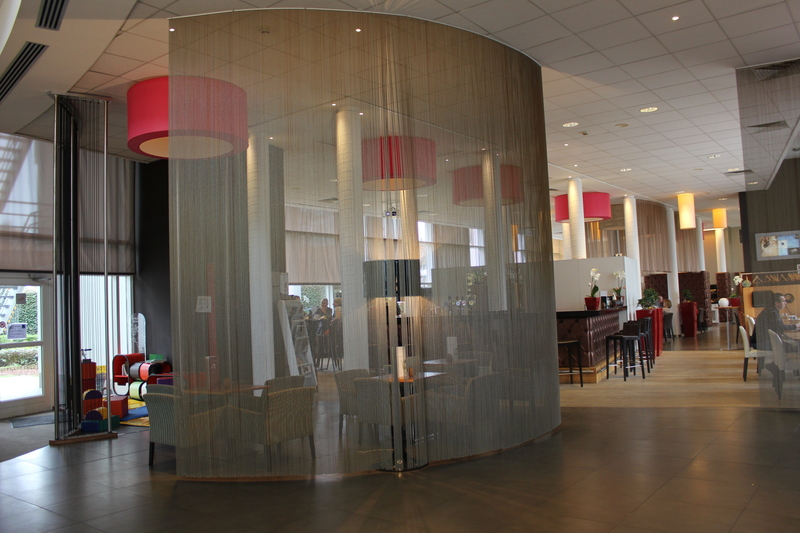 Last weeks I have been to the wonderful city of Bruges to visit the Novotel. 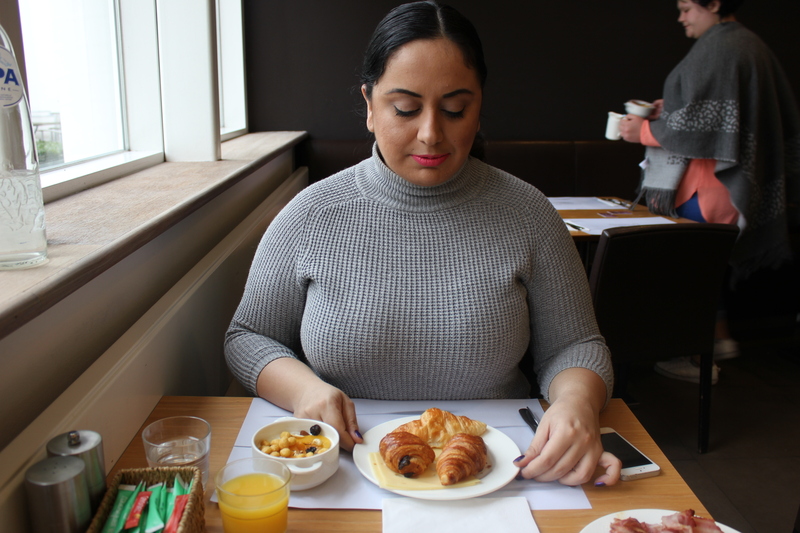 I have done a review here and I can not wait to share my experience with you guys! I have visited several Novotels and I am happy to have been able to add this beautiful one to my list as well. The Novotel Bruges City Centre is located just a 5 min taxi ride away from the train station of Bruges. It is also possible to reach the hotel by bus or even by a 15 minute walk. I took a cab and it costed just 8 euro’s. 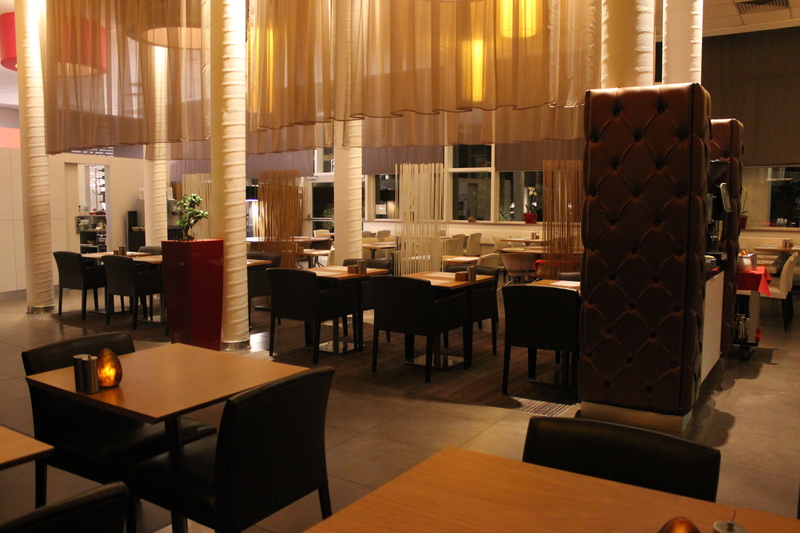 The hotel, as the name says, is located in the City Centre of Bruges. All the touristic hotspots are in a walking distance therefor the hotel is the most perfect place to stay when you are in Bruges! The room is very comfortable. 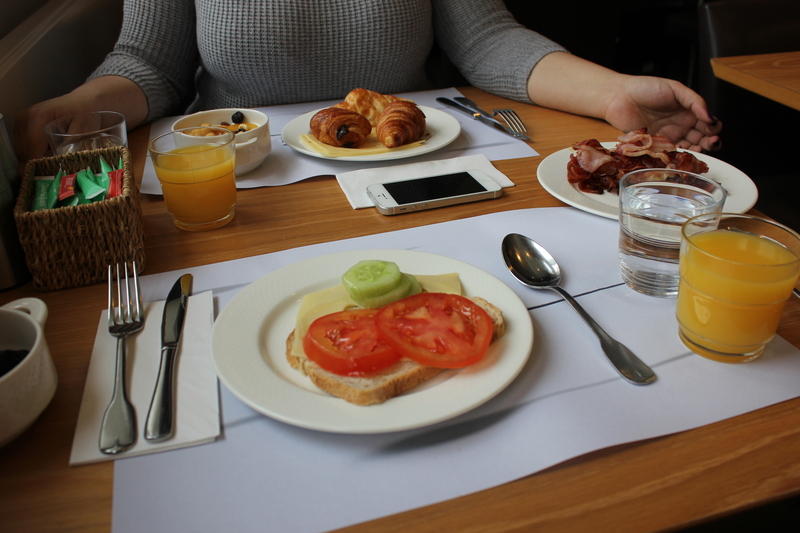 It is simple but enjoyable and it has everything that you need to have a pleasant stay! 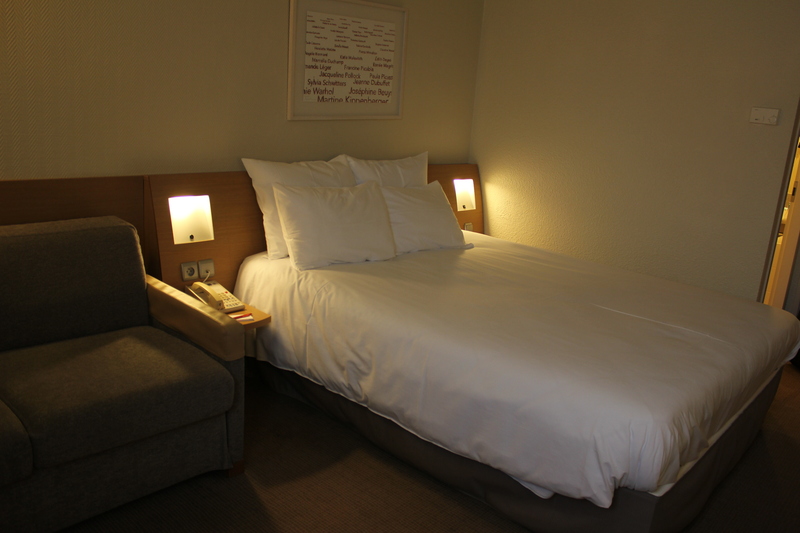 There is a big comfy bed + also a couch available where you can hang out after a long day of exploring the city. There is also a flatscreen TV available if you want to watch the telly, but let’s be honest, with a city so beautiful as Bruges, you probably won’t turn that thing on. There is a safe and a minibar to cater to all your wishes. The bathroom either comes with a bath or a separate shower. I had the room with a bath and it is actually nice to enjoy a nice long bath after walking throughout the city the entire day. The lounge is beautiful. There were these 2 red chairs that were definitely eye catchers. The red chairs are the focus of a nice sitting space, combined with a leather sofa and a comfy chair, this makes the perfect space to just chill out, hang out and pretend that you are at home. 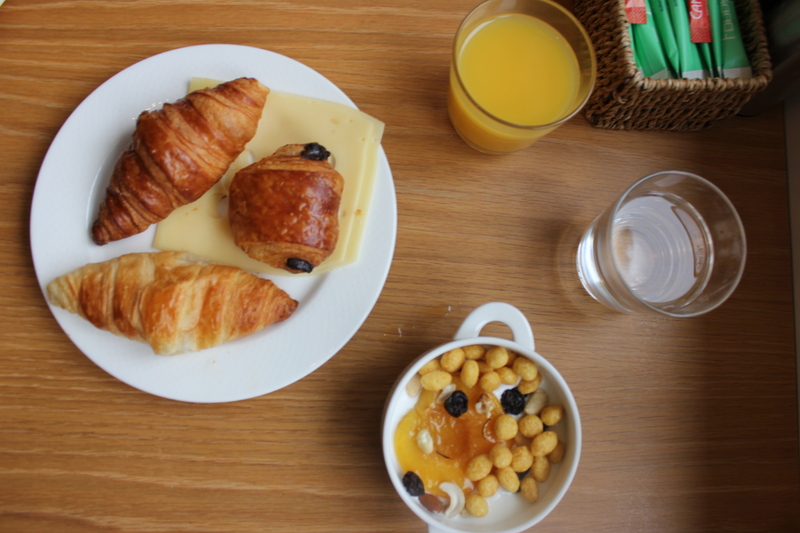 It is perfect to have a coffee and a chat with your friends or with other hotel guests. I actually have had one of my dinners in the restaurant and the food was delicious. It was like dining in a 5 star restaurant. The quality was just amazing. They have a big variety of options for their breakfast menu. 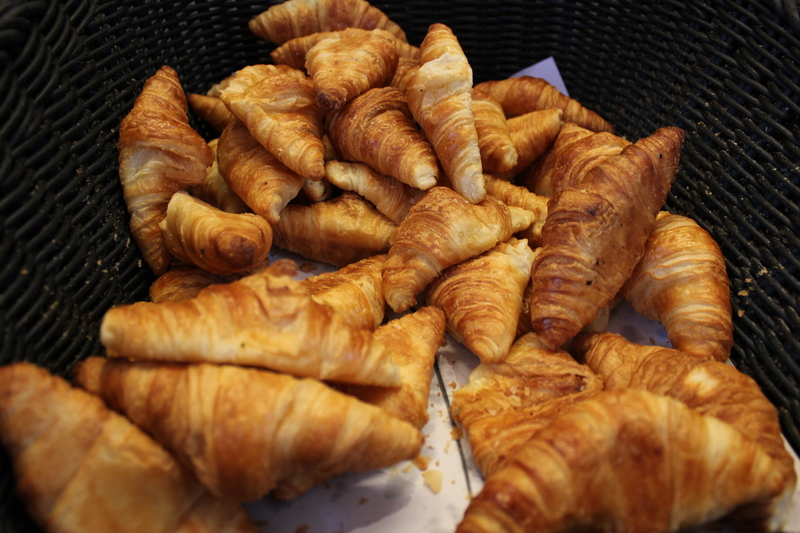 From delicious breads and croissants to veggies and fruits. 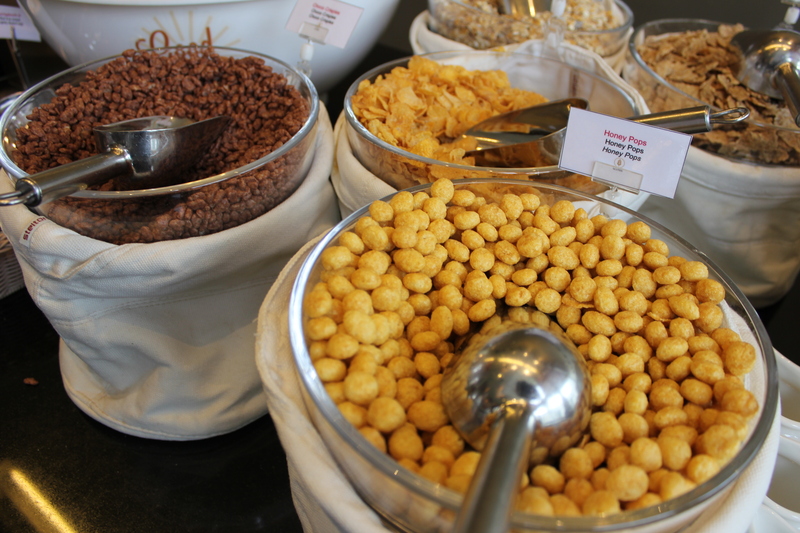 Yoghurts and freshly baked pancakes, scrambled and boiled eggs, cereals and so much more! 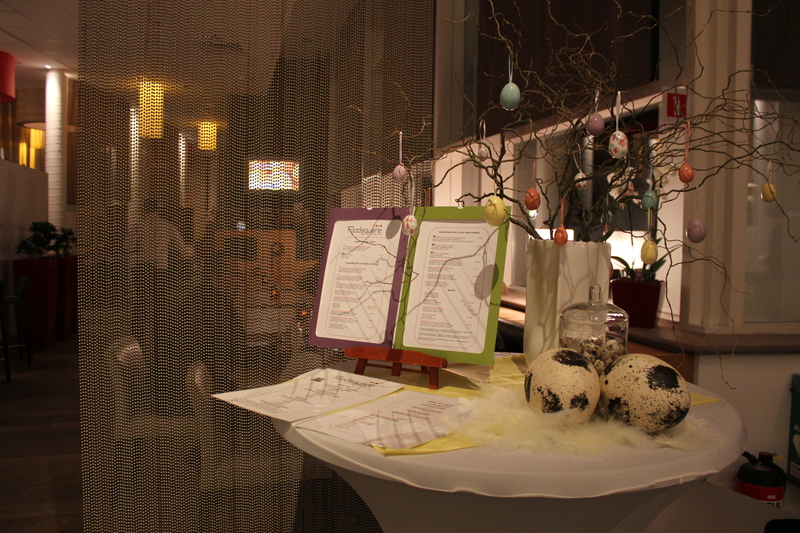 They also have a kiddies section where the small ones amongst us can enjoy some delishhh treats! 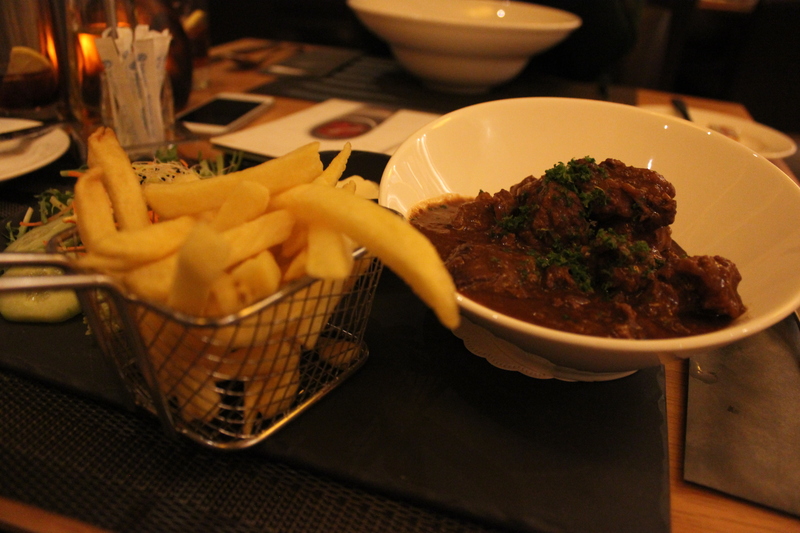 Traditional Belgium Beef Stew with French Fries! 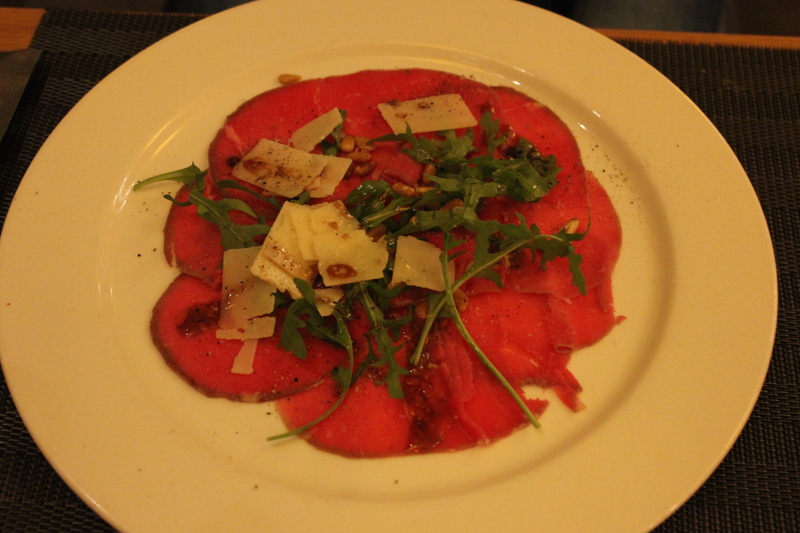 Beef Carpaccio with parmesan cheese, yummy! These details were too cute. 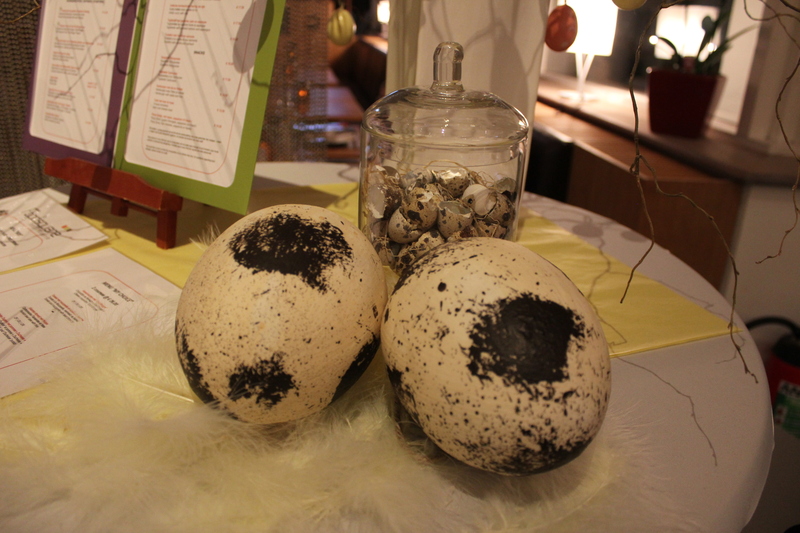 I love it when a hotel spends time to decorate their venue according to the current festivities! 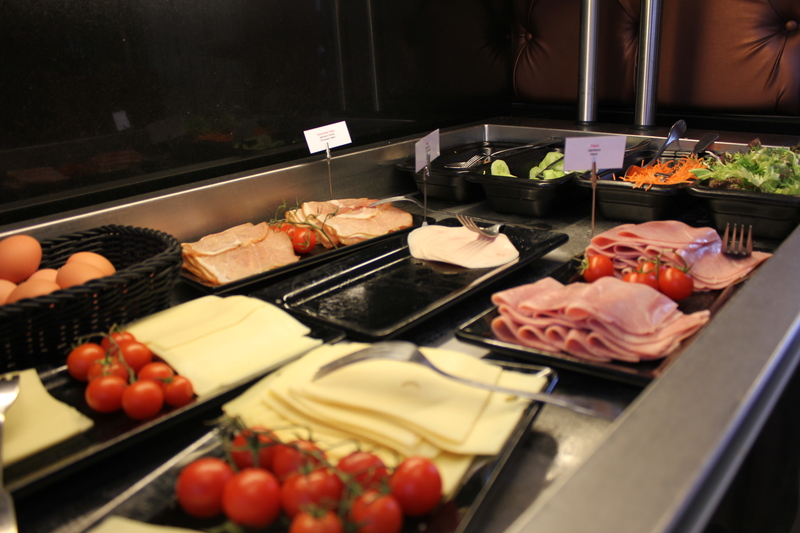 The Novotel Bruges is a wonderful hotel for everybody who enjoys a beautiful room in a beautiful venue. 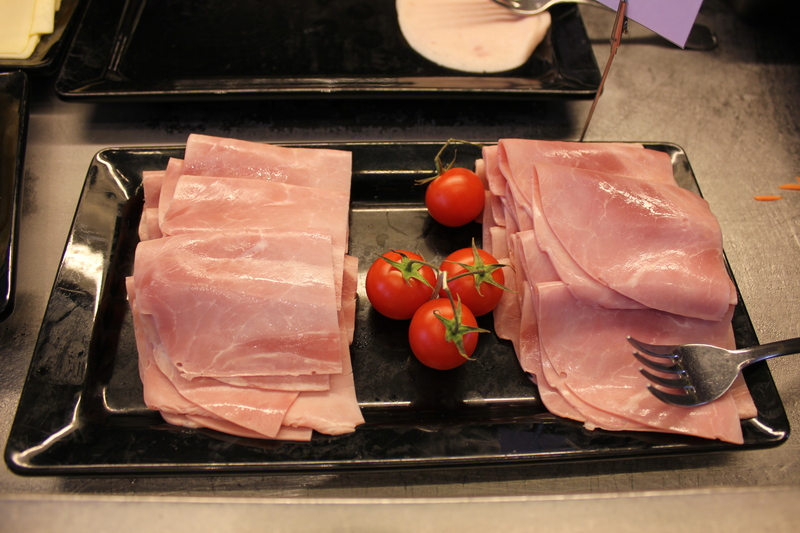 A venue that is in walkings distance of the centre of Bruges and a venue that caters to all your wishes. The hotel also has a outdoor pool available which unfortunately I could not enjoy because it was still to cold to swim but in the summer this will defnitely be a hotspot! Next Don’t be heartless towards the homeless. Looks like a great place to stay – central, modern and spacious…what more could you ask for!